Purell Travel Sized Jelly Wrap Bottles Just $24! Down From $63! You are here: Home / Great Deals / Purell Travel Sized Jelly Wrap Bottles Just $24! Down From $63! 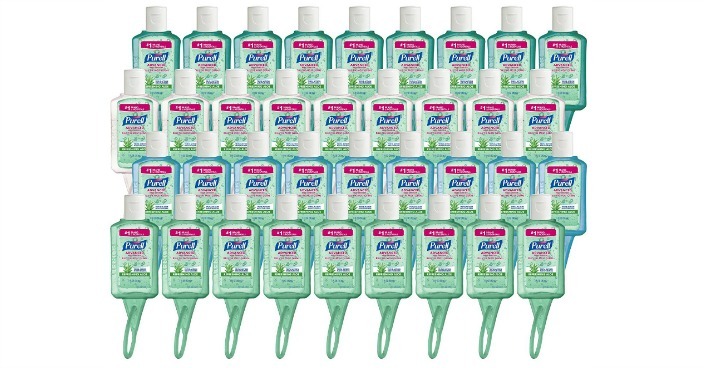 Amazon has these Purell Travel Sized Jelly Wrap Bottles (36 Pack) on sale for $24 (Reg. $63)! Convenient 1-ounce flip top cap bottle attaches to purses, backpacks, key chains, diaper bags or gym bags, and goes along where your life takes you. Kills the most germs, just one squirt of Purell Advanced Hand Sanitizer kills as many germs as 2 squirts of any other national brand. Enhanced with four nourishing skin-conditioning agents, a skin-friendly formulation that’s mild on hands.